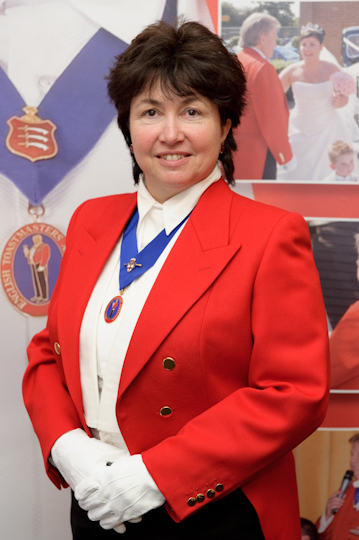 Linda is based in Chelmsford, Essex and is a professional Toastmaster and Master of Ceremonies, as well as being an event planner and co-ordinator. With over 18 years’ experience of organising and running functions, you will be able to relax as you will have confidence that your function will be run with the utmost professionalism. A specialist in weddings, Linda also offers a full wedding planning and co-ordination service. With experience of over 1,200 weddings, you will be in safe, friendly, helpful and experienced hands. Your wedding is going to be the most important day of your life, a day in which you have invested a a lot of time, planning, detail and great anticipation. Whatever the style of your special day, Linda will calmly look after you and your guests to ensure everyone has a day to remember. Acting as your very own personal assistant from the time you first speak, throughout your planning and then on the great day itself. 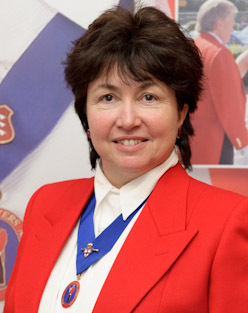 Linda is able to advise on all aspects of tradition and etiquette and will help and guide you through the planning and preparation of your event. Listening to all your dreams and plans and by working with you, your venue and all the other professional services you are planning to use on your weddin day, turning your dreams into reality. "I love attending weddings and nothing would give me greater pleasure than to be able to look after and care for you on your special day". "We both had a lovely day and so did our guests. Thanks again for all your support on the day and beforehand, you really helped everything to go smoothly and it was a relief to have some help as I am used to organising everything myself normally! Our memories of our perfect day make it still like yesterday and no small part is down to you! Thank you for everything you did to make our special day so unforgettably fantastic. The venue looked stunning, with no detail overlooked. Your selection of staff, who were charming and so helpful throughout the afternoon and evening, were a true credit to you. We will remember 16th December forever and hope that many more couples will put their trust in you to give them memorable days too. Thank you so much once again. Thank you for the stunning venue for my daughter’s wedding. Of course, even given such a wonderful setting everything would fall flat if the organisation, food or service standards were lacking in their respective areas. On the contrary I have to give you top marks for your professional abilities, not only were you a great help in the pre-wedding arrangements (pointing us in the right direction for so many things, including the catering) but you ran the show beautifully on the day itself. Everything went like clockwork. Your recommendation for chef was excellent. He gave us the most beautiful meal – its no mean feat to simultaneously serve 70 people with well presented and beautifully cooked food. Your selection of staff gave us the very highest service we could have hoped for. We may have the Hotel de Paris here in Monte Carlo however, on that Saturday, it was incomparable to my daughter’s wedding reception which was quite outstanding. “We would like to say Thank you so much for your help on our wedding day. The day ran smoothly and with ease which made it perfect for Chris and I to take a step back and relax. We had so many positive comments as to how great the day was and how seamlessly the day evolved – which we believe was down to the tireless effort you gave us. We would highly recommend your services to anyone who wants to take the pressure off themselves on their ‘big day’’ with the confidence that your efficiency and professionalism will make it run smoothly. Julia and I just wanted to repeat what we said at the end of our special day. discreet support throughout the day and especially through the meal. Back home with our daughter and son-in-law safely arrived in Thailand we are enjoying the pleasurable task of reflecting on a superb day last Friday. We felt our first task should be to write to you to repeat more formally, our very great thanks to you for making Helen and Craig’s wedding day so very special. Indeed the event exceeded all our greatest expectations with all the planning and decision making coming together on such a great summer’s day. “We would like to say a huge thank you for everything you did in order to ensure that we had the most perfect day. Thank you so much for listening and ensuring all our requirements were met. We have received numerous compliments from our guests in relation to our day. My father also wishes me to express his thanks for all your efforts in ensuring we had the day we both wanted. Thank you for making our wedding day so, so, special. The day was run with the utmost confidence and skill – your ability to cope with our running late without a bat of an eyelid was awesome. Its one thing to have a beautiful venue but quite another to have the very best person to co-ordinate the team that provided our most brilliant day! Each stage of the day and in particular the dinner service was conducted in a seamless manner with not a single hitch. Thank you for all your pre-wedding planning, to keep track of our ideas and wishes and to see them come alive on the day was truly impressive. You succeeded in making our day feel like the most important event to ever have taken place, with care and attention being given to every aspect of the day. The success of a wedding depends on the organisation and I can’t stress enough how perfectly run it all was – thank you so much for giving us the most perfect wedding. A big, big thank you. From start to finish you looked after our every need and couldn’t have been more helpful which meant a lot to us both. “Just a note to say thank you for making our wedding celebration so special and for all your help in the preparations. The day ran so smoothly and you looked after us so well, it really was perfect and surpassed our expectations”. Sorry for taking so long to write to you. Thank you for looking after everyone on our wedding Day and all through the run up – you made planning our day easy and enjoyable. On the day itself from the time Molloe arrived until the end of the evening you ensured that we had a brilliant time. Your attention to detail was noted by everyone and made our day perfect. Your MCing skills were excellent and made sure we were all organised in the nicest possible way. You anticipated our every need and looked after everyone superbly. We’d both like to do it all over again! “Thank you for a wonderful day on the 23rd September – it simply couldn’t have been better! Thank you so, so much for all your help, advice, answers to innumerable questions and immense professionalism and expertise over the past 5 months. Thank you for never getting fed up with me Linda! And for always getting back to me so soon! Every single contractor you recommended was great – we just knew that anybody that you recommended would be great – it saved us so much time and hassle. I’d advise any other couple to use you and all your expertise, knowledge, contacts and organisation. I am writing to thank you for helping to make my daughter’s wedding day so special. Thank you very much for the wonderful and professional service you provided for our wedding on 2nd June. We had a wonderful day, everything was just perfect. We feel very lucky to have been able to use you for our wedding at Gaynes Park – the venue was stunning. Your help and advice throughout the planning made us feel totally relaxed and we just knew we would have a perfect day – thanks once again for giving us the best day ever! Thanks so much for making our wedding day so special. We had a wonderful time. Not even the rain could dampen our spirits! Thanks again for a memorable day. I just wanted to say a massive, huge thanks to you for everything you did for us in the planning of our wedding and on the 16th May itself. We felt that we were in safe hands. You were always calm and so helpful that we were able to just relax. Our guests were amazed that we were so calm on our special day. Everything was perfect and your help was priceless. Thank you, thank you, thank you!!! Thanks for all your help in making my 50th party such a great success. Everything went smoothly from start to finish and I didn’t have to organise anything as you organised everything from staff, to menu to transport. All in all a big thank you! Thank you, the event was a huge success. Your knowledge of the venue, the best layout and table plan, and your ability to deal with last minute changes really made a difference to us and relieved a lot of stress. Well done. We’re looking at organising the next show and it will be great to go over our plans with you. Linda with Dave Jordan, Club Captain at the Warley Park Golf Club's Annual Diner and Dance on 10th March 2007 at Woolston Manor Golf Club. Dave's comments were that "Linda's calm efficient and professional manner turned a crisis into a very enjoyable evening for everybody".